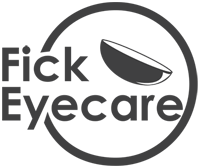 At Fick Eye Care, each member of our vision care team is selected by Dr. Fick based upon his experience. Quickly and easily schedule your Clarksburg eye care appointment online today. LASIK stands for laser in-situ keratomileusis and is a popular surgery to correct vision problems. At Fick Eye Care, our optometry staff works together to ensure your visit is comfortable and completed in a timely manner. We have a qualified team of professionals that will work around your busy schedule and address any questions or concerns prior to the appointment. Whether it’s a general eye exam or treating a condition that requires an in depth diagnosis, our team provides undivided attention to each patient so we can evaluate a plan based on your needs and our professional opinion. Dr. Fick offers full vision examinations and will diagnose and treat an array of eye diseases and conditions to keep your eyes healthy! Friendly and helpful staff. Clean office. Doctor answered all my questions and concerns. Great Customer Service , felt like family was caring for me. Attentive, professional, thorough. I was very happy with my experience and would not hesitate to recommend. Very friendly staff. Dr. Flick was very professional. As usual, another positive experience. Dr. Liebig is excellent!